This pack contains a whole bunch of floating bits! 2 collections of junk, 4 large barrels, 2 medium barrels, and 4 small barrels, a group of three barrels tied together, and a fishing net. These pieces are made specially to sit on water, all poking half-way out. They're perfect as floating debris in Carnevale, offering a quick and (relatively) safe way to jump across canals. 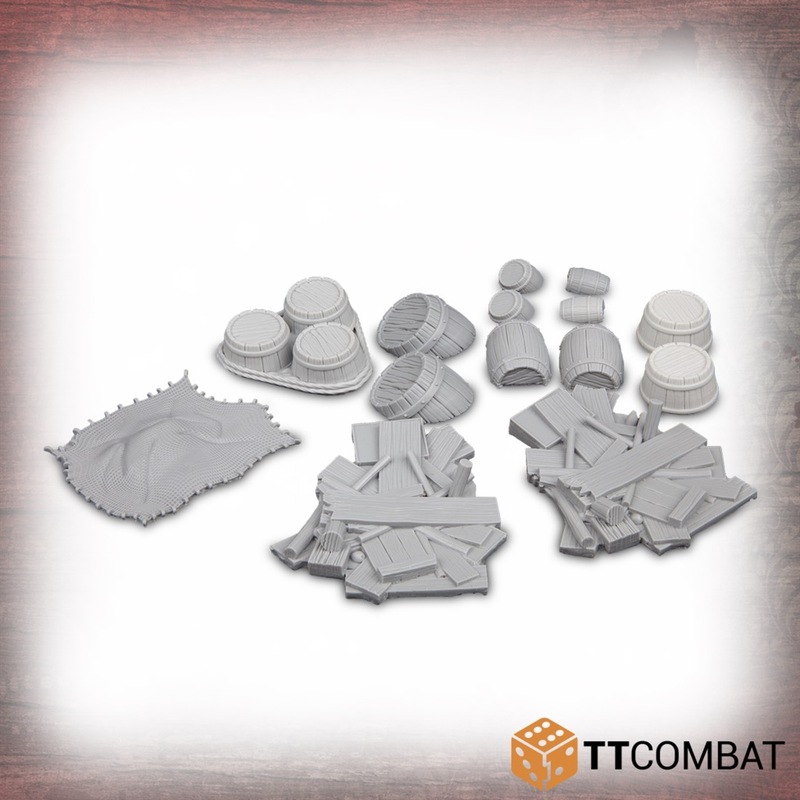 Made from resin, this Floating Detritus is great scenery to use on the tabletop for Carnevale and other 28-32mm games. Models supplied unpainted and requires assembly. We recommend washing the miniatures thoroughly before assembly and painting. Miniature not included shown for scale only.